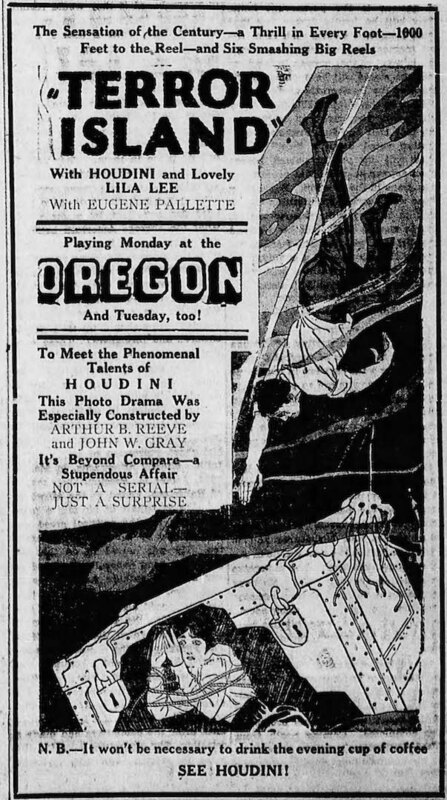 You gotta love these. 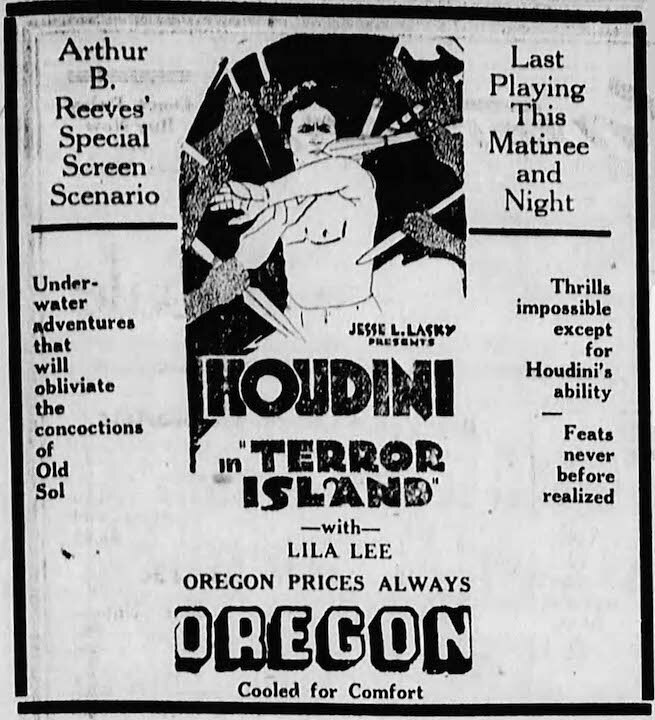 While I have seen Terror Island ads listing the stars Houdini and Lila Lee, I believe that may be the first Terror Island Ad that includes Eugene Pallette as a star. He played Guy Mordaunt. Can’t wait to see more.